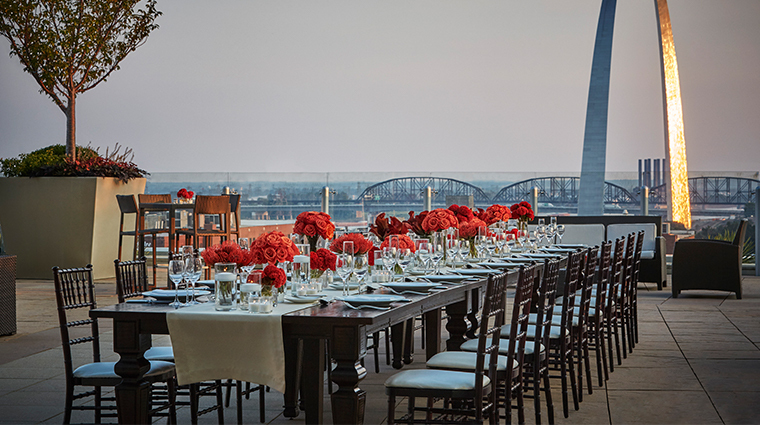 The Gateway Arch has never looked grander than it appears from the 19-story Four Seasons Hotel St. Louis. 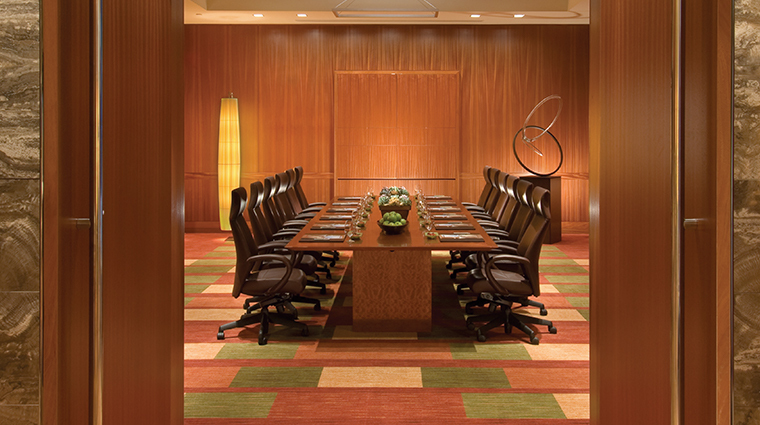 The 200-room beauty opened its doors in 2007 — and you can still smell the hotel’s freshness as you saunter through the public spaces. 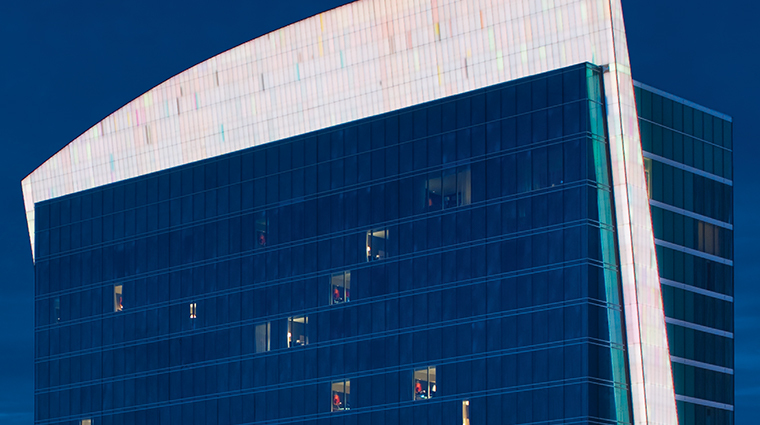 But even before you enter the building that sits a mere four-minute drive from the famed Arch, the aesthetics of the facility will capture your attention the moment you drive up to the entrance. 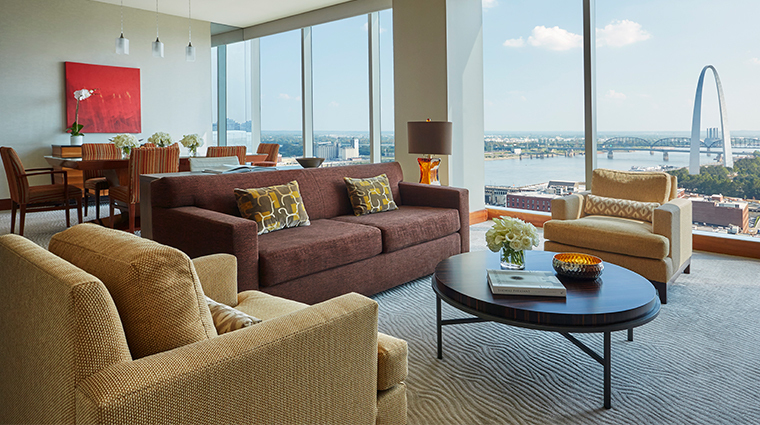 Walk through a pathway of sleek glass doors and directly to your left is a welcome area occupied by a duo of professional attendants waiting to help. In front of you, a running stream of gentle waters softly penetrates your ears, accentuating a sculpted piece of art sitting gracefully in the center. From there, a world of wonder awaits your senses. 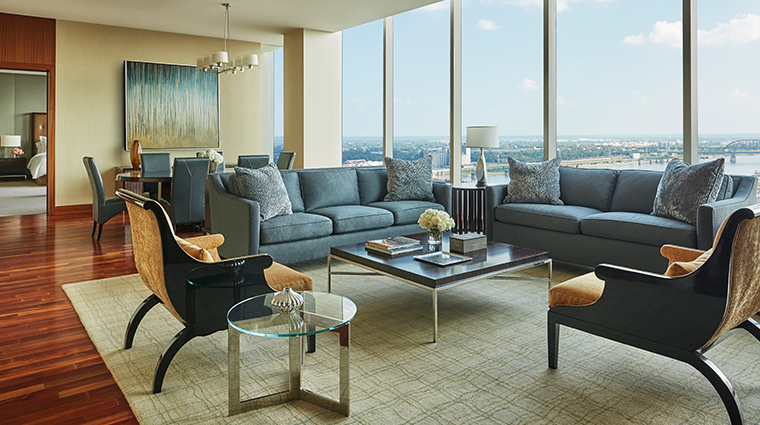 With floor-to-ceiling windows, walk-in closets, and sound systems included in all the suites, you’ll feel like you are in the comfort of your own home. 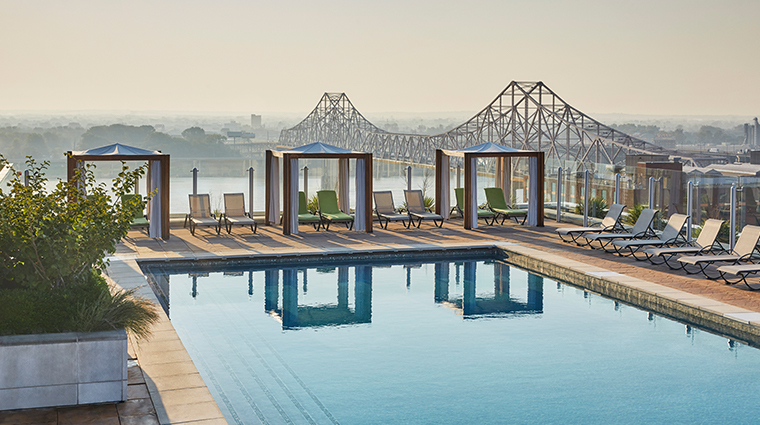 Sky Terrace, located on the hotel’s eighth floor, provides seven cabanas and one spectacular setting for morning yoga. Dip your toes into one of three specialty pools or order lunch from your lounger. 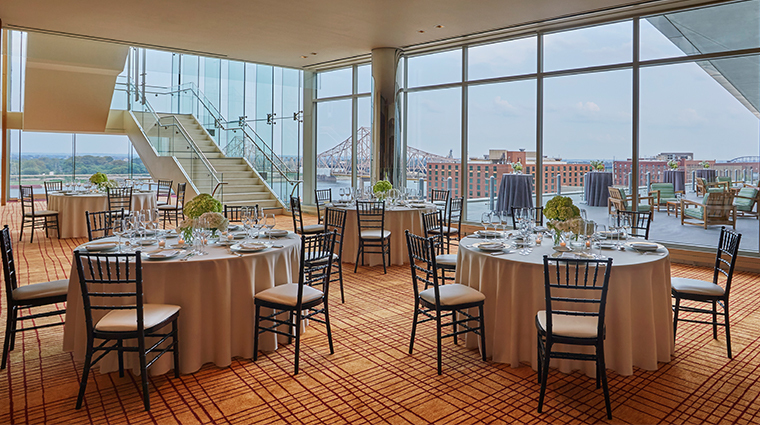 Also perched on the eighth floor, Cielo Restaurant and Bar delivers astounding views of the Arch and downtown alongside classic Italian fare. The family-friendly hotel boasts a host of activities to keep little ones busy. Enjoy a back-of-house pizza and ice cream sundae making class, borrow board games, puzzles and DVDs from the concierge and even a gift from the Toy Wagon upon arrival. 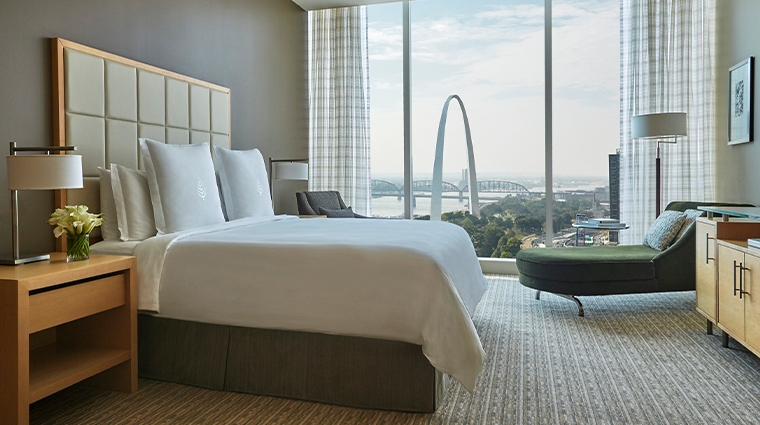 Four Seasons Hotel St. Louis provides easy access to the city’s main attractions, like the Gateway Arch, The St. Louis Science Center, The St. Louis Zoo and Busch Stadium. 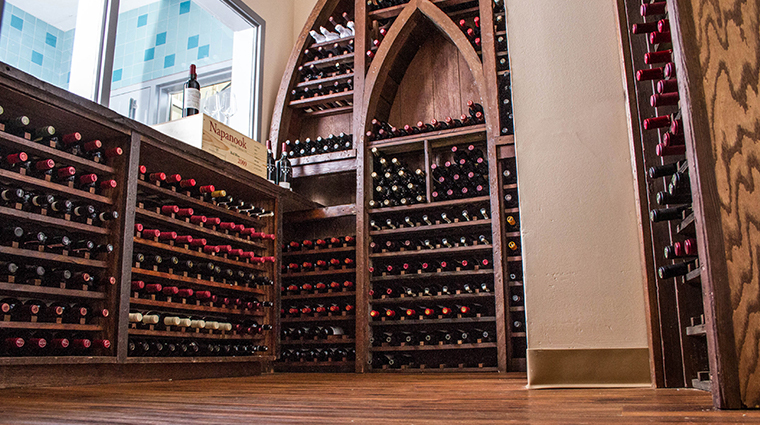 The luxurious spa offers a unique menu: five beer treatments from facials to foot rubs. The hops help exfoliate while yeasts (both active and inactive) provide health benefits to the skin. 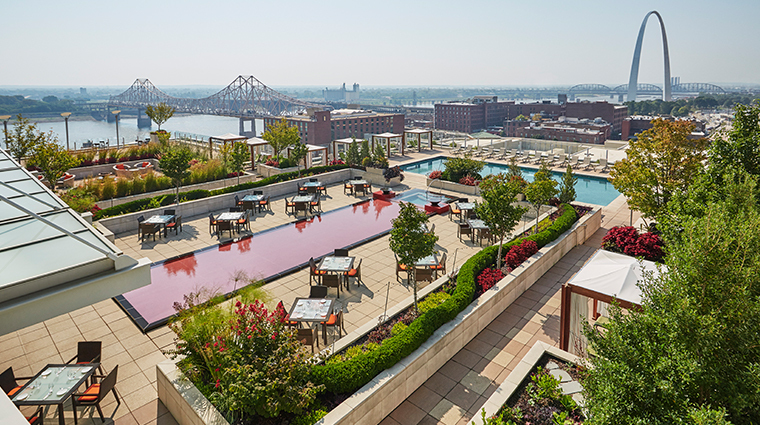 Pets are welcome at this St. Louis hotel. Upon arrival, four-legged friends will receive dog beds, Milk Bone treats, Purina amenities and a map to nearly Laclede’s Landing Dog Park. 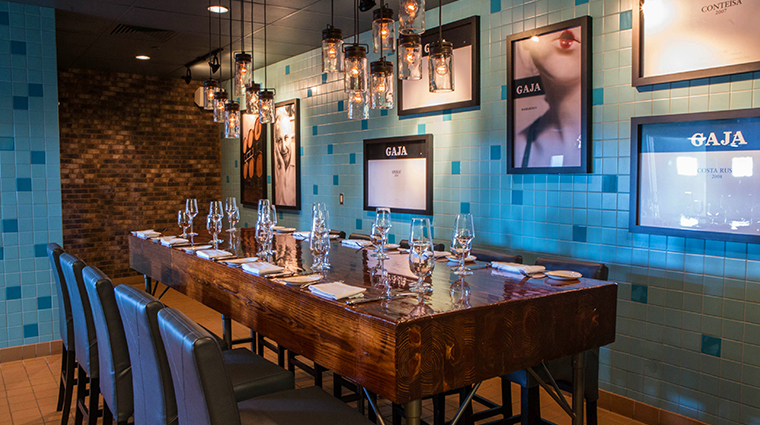 If you love what Cielo’s kitchen has to offer, try your hand at one of its 2.5-hour cooking classes on Sunday. 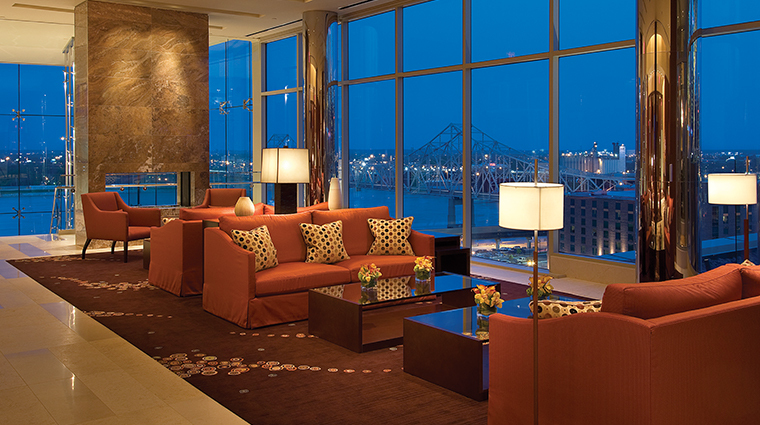 For a dose of entertainment, you’re just minutes away from Lumiere Place Casino. You don’t even have to step outside to enter the casino. 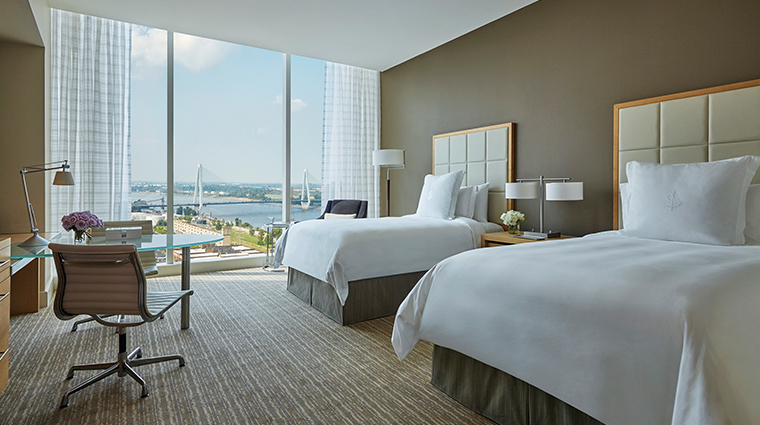 For a wonderful vista of the Gateway Arch, score a Premier Arch-View Room between the 16th and 19th floors. 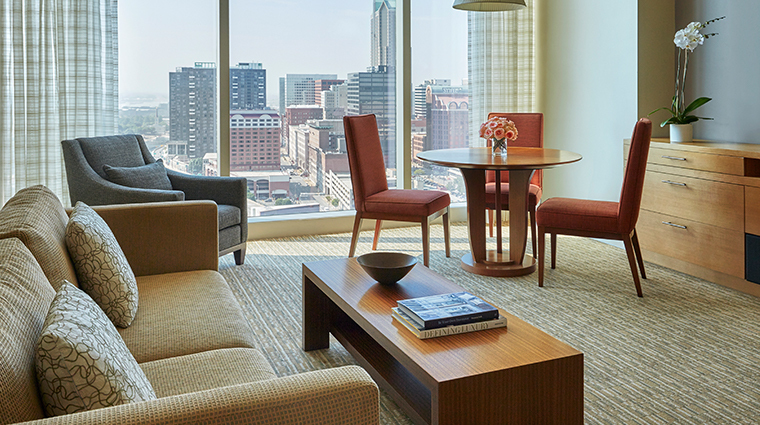 No matter which category of room you reserve, expect the unit to feature soft woods, a welcoming seating area and a flat-screen TV. Bathrooms offer a deep soaking tub, a television built into the mirror and L’Occitane beauty products. The spa area includes 12 treatment rooms and three relaxation lounges. 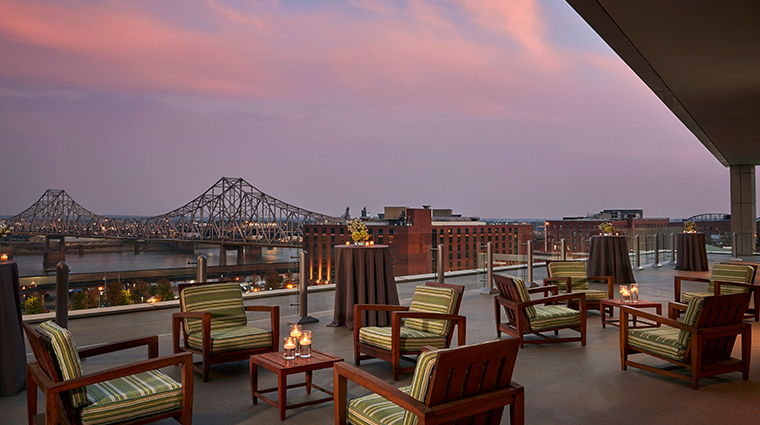 Though the spa features a roster filled with traditional services, one of the special aspects of Four Seasons Hotel St. Louis’ sanctuary is its beer menu. Treatments consist of hops-infused products or barley scrubs. The 24-hour, 2,800-square-foot fitness center provides treadmills, exercise bikes and all the other equipment you need to help you stay on your healthy mission while you’re on the road.